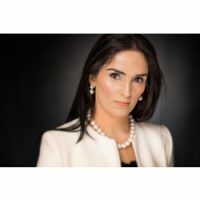 An Attorney who specializes in family law, Rania Arwani believes you can achieve much in your personal and professional life simply by finding and following your passion. Meet IAW members in Featured Members, a weekly column where members highlight their careers and businesses. Today, the spotlight is on Member Rania Arwani. Innovator and Influencer Members: to be featured in Member Spotlight, contact us at memberservices@iawomen.com. My undergrad is in finance, and my plan when I graduated high school was to be a stock market analysist. However, after graduating and working in this field for a short period of time, I felt that something was missing—I realized that was not where my passion was. Shortly thereafter, and due to personal experience, the fact hit me like a pile of bricks: I was born to be an attorney. That’s where my passion is and that is what I was born to do. Today, I am an Attorney and the Owner of Arwani Law Firm where I practice family law. Changing career paths wasn’t easy but I knew it was something I needed to do. I looked around and realized there was an army of strong women I could turn to for inspiration. They kept appearing in my pathway during a very difficult time in my life. One of those women was an Attorney, and I watched her stand in court and give a voice to the voiceless. She stood there, fearless and fought for her client. Watching her passionate advocacy was my inspiration. Change can be scary but if you take the time to look toward others for inspiration and advice, your journey doesn’t have to be a lonely one. It’s important to realize your passion but it’s just as important that you not be afraid to ask for help and guidance when you need to. Once you find your passion, follow it and you will never work a day in your life. You will never run out of new ideas or things to talk about if you are passionate about what you do. Set your goal and, every once in a while, go back and evaluate where you are. Get involved in open exchange of controversial ideas. Be a giver; give advice when appropriate and don’t get stuck on your own views. Following my passion has allowed me the privilege of solving my client’s complex legal issues. This is very rewarding, especially when it comes to small children. Also, simply being able to help families find a common ground, reduce their conflict and tension, and help them co-exist is one of the most pleasurable experiences of being a family law attorney. Of course, this profession does have its challenges, like when one of the parties decides to be unreasonable and is set on making the process as difficult as it can get for the purpose of hurting the other party. Finding the balance between work and home is difficult. Like so many women, some days I feel I have three full-time jobs, wife/mother, attorney and business owner, and those days tend to be very hectic. Personal growth is an ongoing goal, because, no matter how successful we are, there will never come a time that learning will not beneficial. As for my firm, my goal is to create a stress-free environment and offer families facing complex legal issues the tools to help them reach resolution in peace. We strive to play a critical role in transforming people’s attitudes when faced with the so-called failure of their marriage. Our philosophy is to transform the attitude from failure of a marriage to an end of a triumph, and in this shift, parties may be able to face complex legal issues amicability and in a healthier way.